Hundreds of Woodberry students form two lines, each equipped with torches and disguised as clowns, inmates, and everything else that is disturbingly imaginable as they march through an open field in the middle of nowhere. They make their way towards a daunting bonfire the size of a two story house. The bigger the better as always. For the night, this band of brothers, typically dressed in Vineyard Vines and Sperry’s isn’t the same homogenous group, esteemed for their good manners and sportsmanship. They’re a mob, a crazed entity determined to crush those pampered, entitled heathens from Episcopal High School. Woodberry boys pride themselves on their toughness stemming from their built up tolerance to their questionable dining hall food and shabby Chinese takeout, essentially the only sources of food available. Since 1901, Woodberry has conducted their annual bonfire on the Friday night before The Game. Alumni flock from across the country to spectate and participate, determined to relive the glory days. Once the fire is lit, as if in prayer, the entire group sits in a circle and listens intently to the headmaster and football coach give their usual motivational speeches. Coach Clint Alexander yells something along the lines of, “We got kids that play their butts off. We’re going to get after them tomorrow,” and everyone goes crazy, screaming at the top of their lungs and rhythmically beating on their chests. They sing the school’s anthem in unison, a cacophony of teenage boys desperate to get the dub the next day. Today, as is the case every year around early November, in the middle of the woods in Orange County, Virginia, Woodberry preps for this year’s highly anticipated game. As the trees surrounding Woodberry’s campus change color, transforming the grounds into a medley of gentle yellows and greens. As Barbour jackets are pulled from dusty winter boxes. The Woodberry boys prepare for the biggest event of their young-adult lives. Orange outfits are put together. The bonfire is constructed. Woodberry boys fume and impatiently wait. From an atypical Woodberry kid’s perspective, The Game — the bonfire and the incessant “beat Episcopal” banter — must be underwhelming. They might like to paint, dance, or write and could care less about football. To a quintessential Woodberry “bro,” however, football tends to be everything. Posters of their favorite NFL teams, irrespective of whether or not they play football themselves, are plastered all over their walls. Football players are put on a pedestal and praised as the school’s infallible heroes, relied upon as the school’s source of pride. Back in the good ole days, Woodberry easily beat Episcopal. 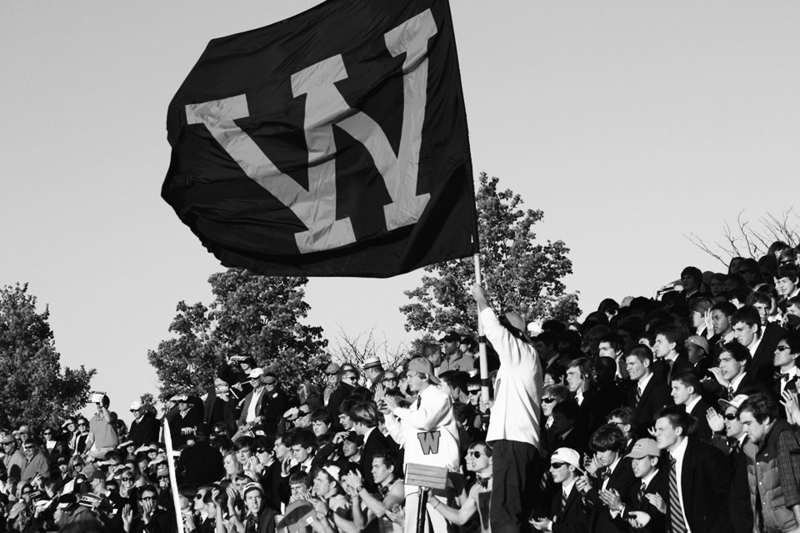 In 2013 the final score of The Game was a whopping Woodberry-56 to Episcopal-13, punctuating a seven year winning streak. However, in recent years Episcopal has come back, reestablishing itself as a football powerhouse and in effect challenging Woodberry for The Game title. In 2014, Episcopal WON. It shocked the Woodberry student body to say the least. A proud bunch of men who had discredited Episcopal as too soft and not dedicated enough to put together a decent football team. Their heroes had failed them, and they were devastated. In 2015, The Game ended in a tie.